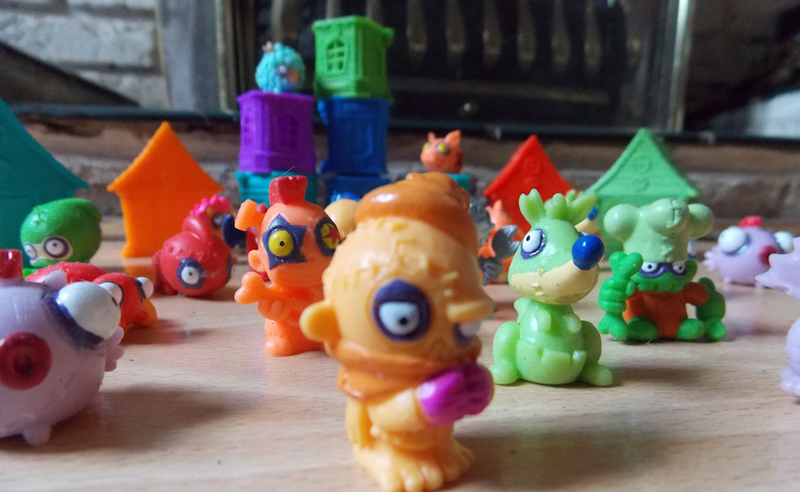 We were recently sent some Zomlings to review. These collectible mini figures are a new toy line from Magic Box. These are brand new and should start appearing in shops very soon - look out for them in your local supermarkets and toy stores. 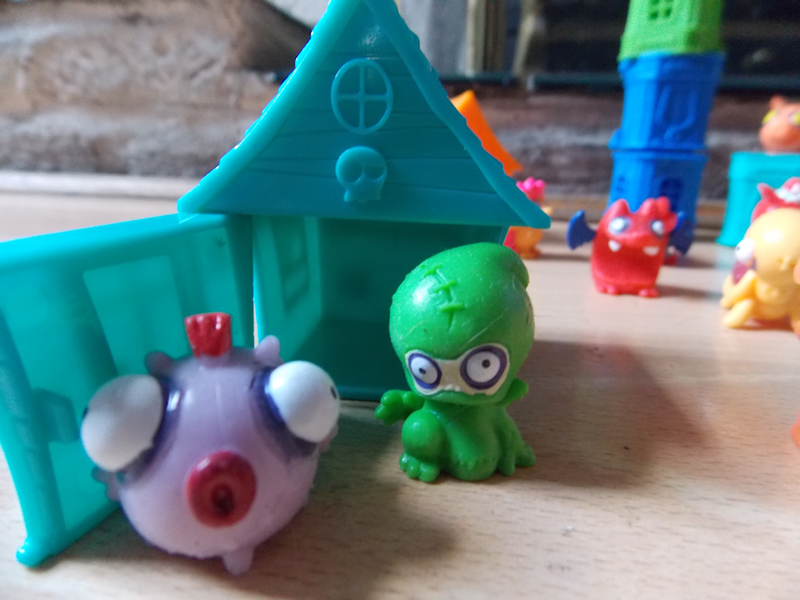 They are small 2cm squidgy pocket money figures which children can collect, swop and play with - similar to the likes of TrashPacks, Moshi monsters and other such series. 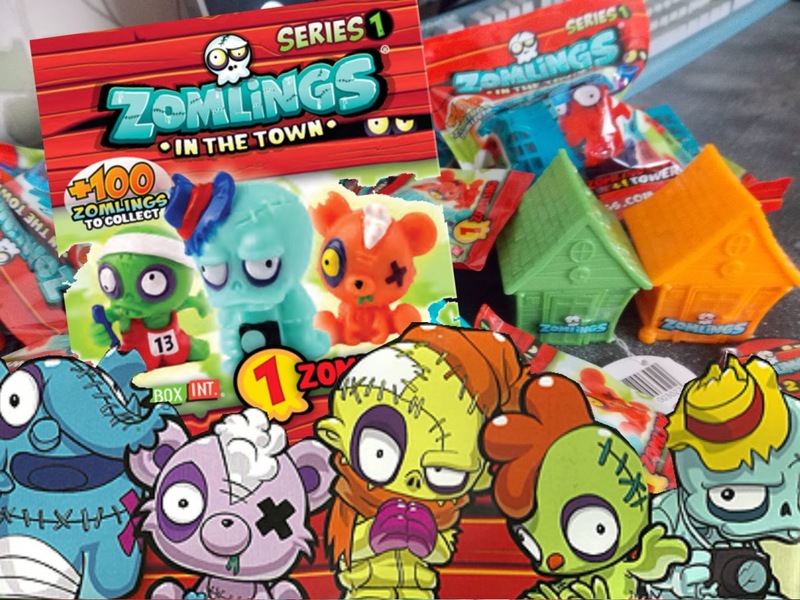 In the Zomling series 1 range there are over 100 characters to collect, all zombie themed but lots of different characters from teddy bears to elephants. 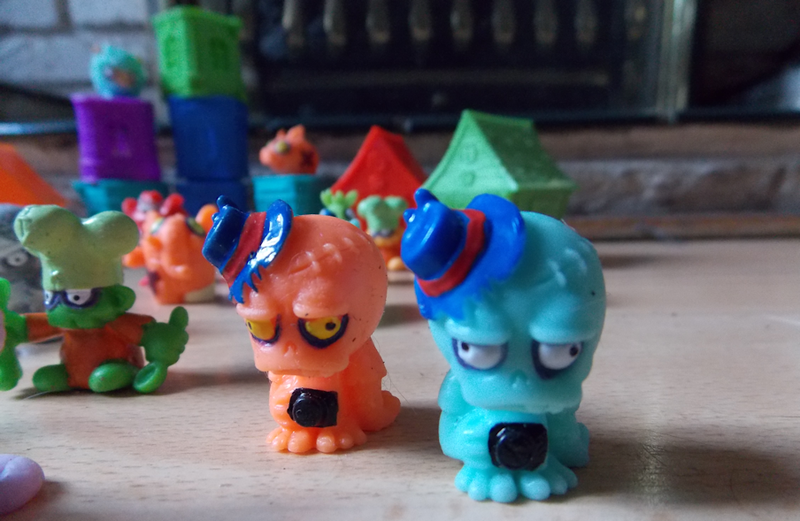 The individual zomlings can be purchased in blind bags which cost just 50p each, or Tower block blind bags where you get a tower block and a zomling figure for £1 or houses where you get 2 zomling figures and a house for £2 This gives children plenty of ways to build there collection. 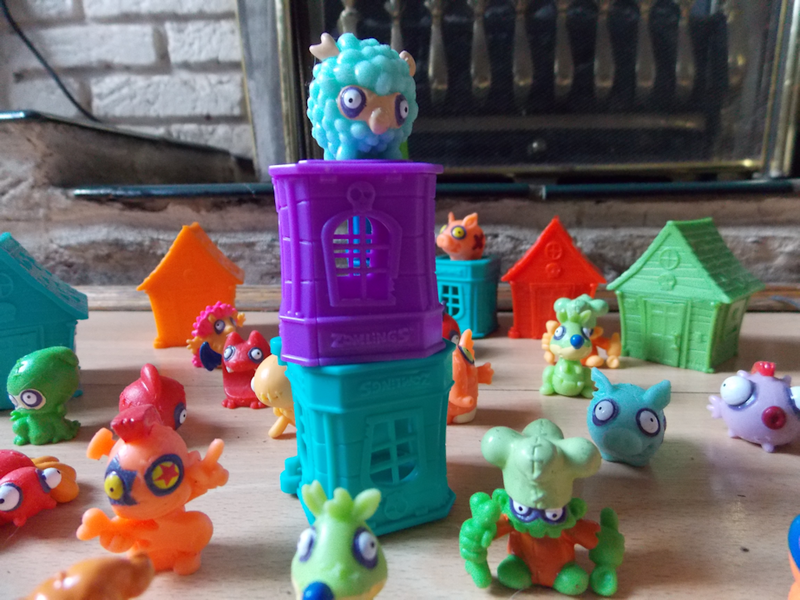 The houses and tower blocks are not only for you to store the zomlings but to enable children to make their own games - much like angry birds, you can build up towers and see if you can flick the zomlings to knock them down, or arrange your own town scene with your zomlings. The blind bags and houses come with a checklist and instructions on of how to play with the zomlings, giving you three ideas for games such as Zomling Battle where you set up your house across the table from your apponants house, then flick your zomling figures towards the enemys house, the first to hit the house twice wins. Another game is Towers Down, where you set up tower blocks and try to knock them down by flicking your zomling figures at the blocks. These colourful characters are really quite cute and instantly appeal to children, my three all loved them and can't wait to see them in the local shops to buy some more, priced at affordable pocket money prices I can see these becoming very popular. The collection includeds several rare colour options - some characters come in 2 colour variety, the neon version being harder to find than the 'ordinary colours' Then there are 6 ultra rare silver characters to collect and 3 Limited edition Gold Zomlings. 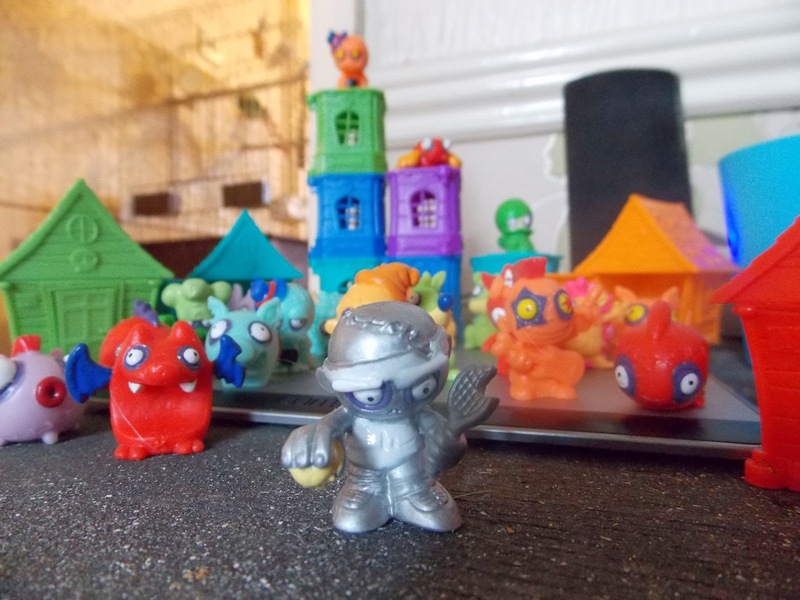 We were lucky enough to find Smash one of the ultra rare silver zomlings in one of our blind bags which pleased my three no end. where can you buy them aside of on the web? where do you fund them? was googling zomlings as my godson wants some for xmas .. found you sarah ! 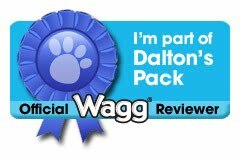 GREAT review !